The ANC-G5 active noise canceling headphones can be had from Amazon for 60 USD. How does it compare to the number one noise canceling headphones, the Bose QuietComfort QC20i? The ANC-G5 is surprisingly comfortable. The design of the ear tip is oval in shape and it does not fully insert into the ear canal. There is a fine balance of not having a very tight seal for comfort, but have a good enough seal to eliminate sound leakage. The Bose’s design is great for that. The ANC-G5’s tip is a lesser quality soft rubber, but never the less it works well. The earpiece is not too heavy. 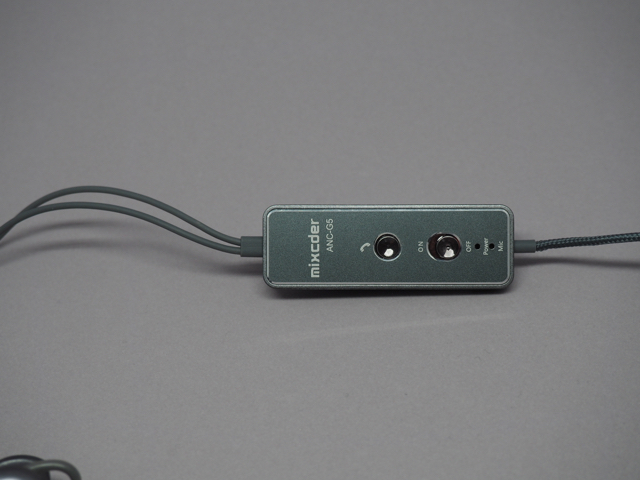 It has a similar designed wire-as-ear-loop as the Bowers & Wilkins C5. I find that the ear loop is simply not necessary, not I can get it to actually fit into my ear. So I just kept the loop small and the headphone stays in anyway. In terms of comfort, the ANC-G5 is as good as the Bose. I do worry that the ear tip rubber eventually will degrade. It is very thin. 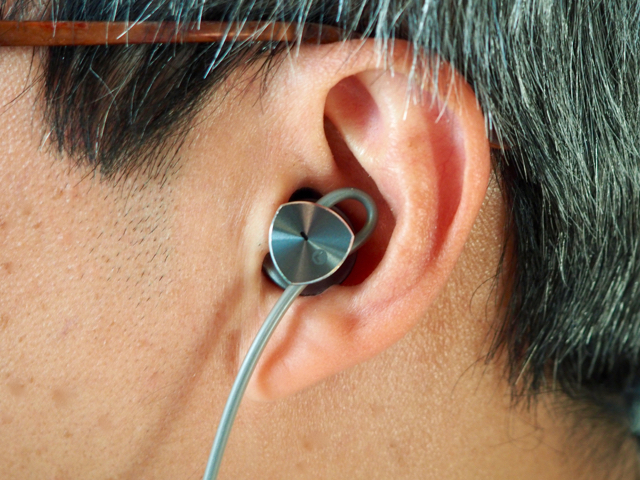 It is also oval in shape because it is stretched into the oval shape by the port on the earpiece. 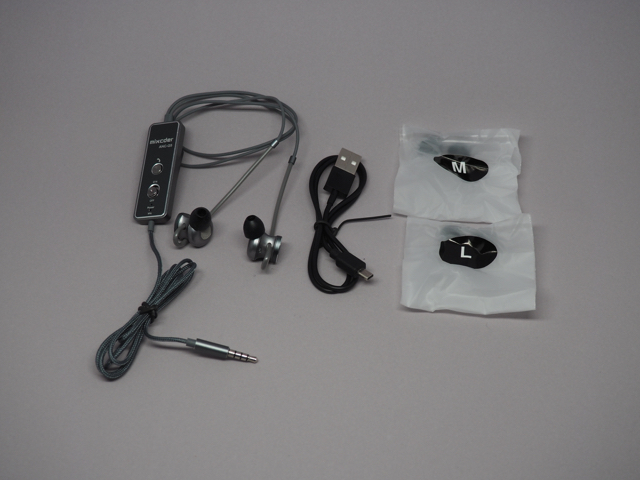 Compare to the Klipsch headphones for example, the Klipsch ear tips are oval as molded. There is a minor annoying with the ANC-G5. The controller “box” is at the headphones end. That means the weight of the controller is pulling on the headphones all the time. I have no choice but to clip it onto my shirt. Compare to the Bose controller box, which is at the very end of the wire, on the plug end. I can just leave it in my pocket or on my desk. Since this is a pair of noise canceling headphones, the most important factor is how well does it actively cancel environmental noise? I tested it three different ways. I tested it against a brown noise generator .The ANC-G5 cancels out the brown noise without problem, as good as the Bose. I tested it against a coffee house background noise generator . 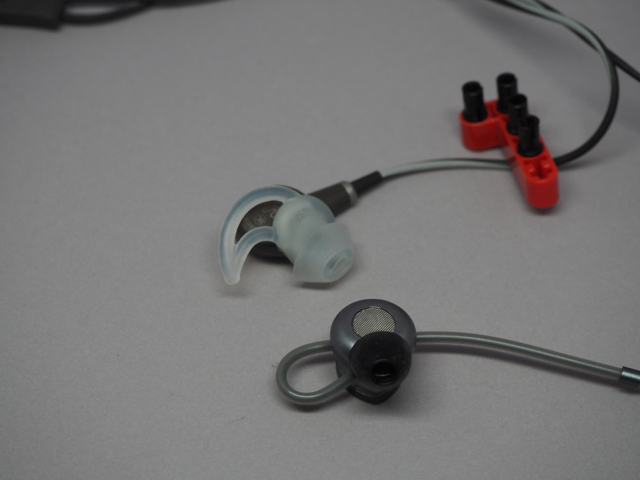 The ANC-G5 successfully blocked out most of the background noise and effectively made the human voices more audible. I then tested the ANC-G5 in my day to day office environment. The headphones successfully cancelled out the low frequency hum of our office AC, leaving me with a nice and quiet workspace. I tested the sound quality mostly with the noise canceling feature switched on as that should be the normal mode of use. I fed the headphones from my retina Macbook Pro running iTunes. I largely listen to jazz and vocals. After burning in the headphones for 24 hours (I ran the burn in without the active noise cancelation), a listen to Autumn Leaves by Partricia Barber. Her vocal against the deep double base comes through cleanly. While I don’t expect it to reproduce the very low notes perfectly, it did an more than adequate job. I moved onto Vienna Teng’s Eric’s Song, a track with very clean vocal against piano. I can hear her breathing in between notes. Moving onto Brandi Carlile’s Wasted, more of a rock track - female vocals against piano, drums, electric guitars and precessions. The soundstage is good but it is noticeably compressed compare to higher end headphones. (OK maybe it is not fair to compare it to a pair of RS-1 driven thru an amp). Overall I definitely enjoy listening to my styles of music as I work in the office. I also tested using it for two Skype calls. The microphone works fine as well. Besides that the controller is at the headphone end as mentioned before, the only thing that annoys me is that it uses a micro-A USB connector for charging. All other non Apple equipment I have uses micro-B USB connectors. This means that I cannot use the various charging stations that I have setup both at work and at home to charge this pair of headphones. I have to use their charging cable. After completely ran down the batteries, I charged and ran down the headphones twice to time the charging and usage. Both times the headphones charged to full charge in about 1 hour 30 minutes. The discharge ran way beyond 11 hours both times, however I do wonder if the battery life will be shorter if it was doing heavier noise cancelation in an noisier environment than my house. For the money this pair of headphones is a no brainer purchase if you need active noise cancelation. The Bose QC20i is slightly better in all features, but it is four times as expensive. 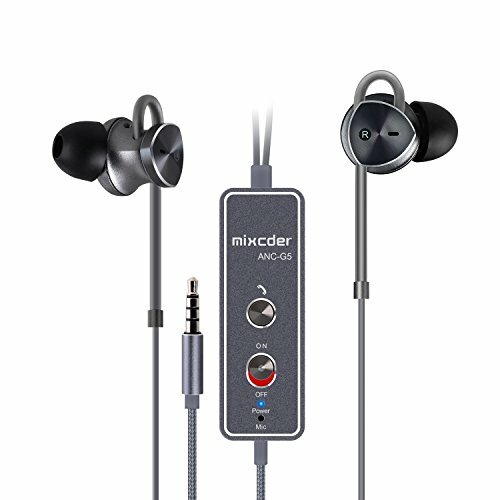 If you must have iOS/OSX volume controls on the headphones than you have to look else where or wait for Mixcder to come out with an Apple compatible version. Otherwise it is affordable, sounds great, comfortable, and most importantly cancel background noise well. Note that while I received this unit from the distributor for review, the opinions expressed are completely my own.